Emm-Bee stock a huge range of of high quality used motorhomes. These include our signature motorhome brands like Burstner, Chausson and Bailey, but also numerous other top motorhome brands such as Elddis and Swift. 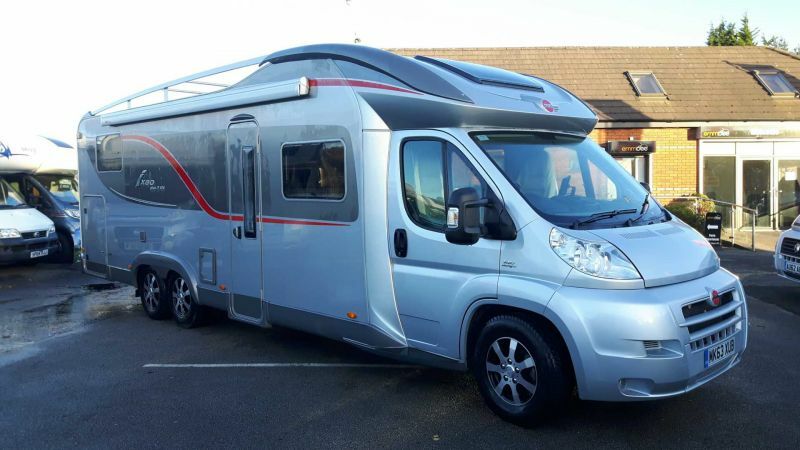 All used motorhomes for sale are guaranteed to be in excellent condition a every used motorhome you see on this website is waiting for you to inspect or test drive at our site in Greater Manchester. We are the North’s largest motorhome dealers with 30 years trading experience, so you couldn’t be in safer hands when buying a used motorhome in the UK. We are a long established and highly trusted UK motorhome dealer. With Emm-Bee second hand motorhomes never ever mean second best. Whether you already know what you’re looking for in a motorhome or it’s your first motorhome purchase, let us talk you through it and find exactly what you need. We will ensure that you find the used motorhome that’s the ideal fit for your needs and budget. Talk to us and let us help you find the pre owned motorhome that’s right for you. Alternatively, you can browse our selection of new motorhomes for sale.